Manual processes. In our experience, most companies have at least one area where they are completing a process manually instead of allowing the system to handle the heavy lifting. For example, we often find users dumping SAP data into Excel to manipulate numbers, calculate KPIs and format reports rather than leveraging SAP Standard Reports or developing reports within SAP to ensure data integrity, format consistency and centralize all reports. What unnecessary manual processes are draining your time and attention? Underutilized functionalities. ERP systems are powerful, but it can be difficult for end users to grasp the system’s full capabilities. We understand: with tight budgets and limited time, many companies must delineate scope to critical functionality first. However, most companies forget to go back later to explore and add additional standard delivered functions, or expand their knowledge base to realize the system’s true potential. It’s not uncommon for users to miss out on key functions and find inefficient workarounds resulting in increased costs for the company. What key functionalities have you overlooked? Training gaps and employee turnover. No user is an expert—and over time, information about infrequently used transactions can slip from our minds. New hires often do not receive the same level of training as their peers did during system implementation, resulting in errors and inefficiencies creeping into daily practice. What gaps exist in your knowledge? Your business has evolved. Your system was implemented to meet your company’s requirements —but, in the intervening years, your business has transformed. Expanded operations, digital processes, ecommerce, changing legal reporting requirements and more can all affect whether your ERP will best meet current needs, while updates, apps and expansions can significantly change functionality available. Is your ERP system still a fit for your business’ needs? Will new SAP offerings assist in ensuring continuous improvement? To keep your ERP system running smoothly, we recommend a Client Health Check. Illumiti’s Client Health Check functions like your annual trip to the doctor: a quick way to diagnose inefficiencies, ensure there are no big problems, have an opportunity ask questions, and seek follow-up for any areas of concern. Illumiti’s Client Health Check allows you to take a step back and evaluate whether you’re getting the most from your system as well as foster a culture of continuous improvement. Our experts and solution architects take a look at your overall satisfaction with your system today, review issues and opportunities, help assess where improvements are needed, and respond to your process, functional and technical questions, big and small. The takeaway is a high-level report on best practices and KPIs, recommendations for improvement, and suggestions for deeper follow-up where appropriate. Want to know tips and tricks to make your daily life easier? Interested in learning more about Fiori and seeing how you can use mobile apps to expand functionality and improve the user experience? Questioning whether it’s the right time to move to S/4HANA? Our Client Health Check answers these questions too. Even if you’re not experiencing any major pain points, an ERP Client Health Check is a great idea. Fact is, there is always room for improvement—and even little changes to your system, processes or user knowledge can have measurable impacts on your bottom line. 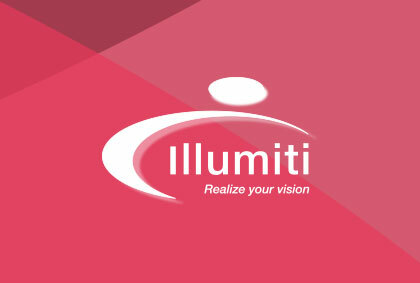 To schedule your Client Health Check, contact info@illumiti.com.